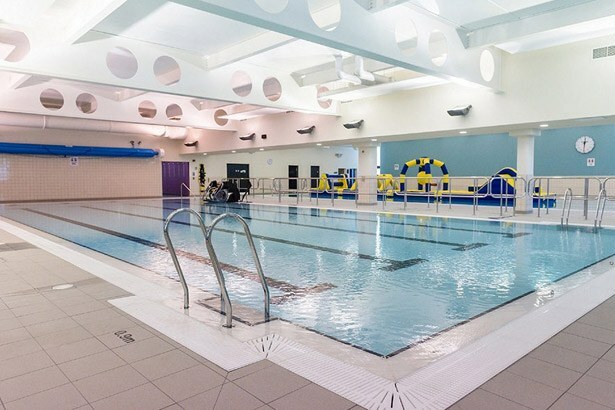 The new £7.5million Tewkesbury Leisure Centre, which was built to replace the ageing Cascades Leisure Centre, has opened its doors and has been given the thumbs up by users. The centre was officially opened by Olympian, Sharron Davies MBE and up-and- coming local swimmer, Levana Hanson. The centre includes a main 5-lane, 25-metre pool, a 20-metre learner pool and a range of splash water fun features. It also houses dry- side facilities including a 60-station gym, sauna and steam rooms, a flexible activities studio, a café and a shop. FT Leisure was responsible for the supply, installation and commissioning of the water treatment and filtration systems as well as providing the water features working alongside Van Egdom. The centre is being operated by Places for People, the main contractor was Willmott Dixon (Bristol), the architect was Pozzoni and consultants were Desco.